The new and stylish ThinkPad Precision USB Mouse (0B47151) provides matching color options to accompany your system and other accessories. 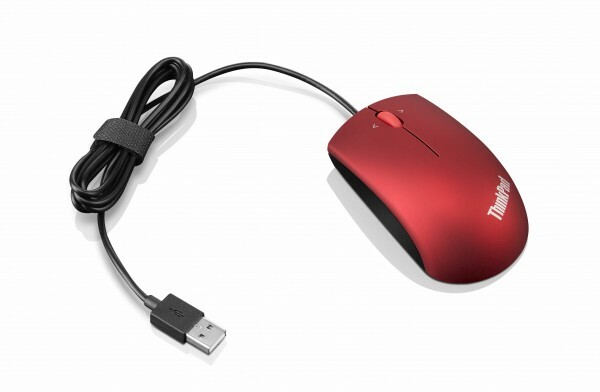 Specifically, The ThinkPad Precision Mouse was designed to match the new ThinkPad laptops and ThinkPad OneLink docks. This mouse includes a sleek design and precise control features that not only enhance your office performance but also provide an excellent option for those mobile users on the go. New blue optical tracking technology enhances your control through precision performance that operates on almost any surface. This and other features provided to you at a wonderful price. - Available in multiple colors: Midnight Black, Heatwave Red, Frost Silver and Graphite Black. - Size designed that balances ergonomics with comfort and portability. - Exclusively contoured for both right and left-handed usage with soft touch finish for all-day use. - 1200 default dpi adjustable to 800, 1000 and 1600 through Mouse Suite. - 4-way scroll wheel which also works as button and function can be changed via Mouse Suite.